Any woman in the Haven service area is welcome and encouraged to become a member of the Haven Women of Philanthropy. The common thread of hospice touching individual lives is the bond that is shared by all of the women. You will join others who are committed to participating in the educational and philanthropic goals of the group. Members are required to make an annual tax deductible contribution of five hundred dollars ($500) to Haven by July 1 of each year. Your gift may be paid in cash, personal check, credit card, and a gift of stock or other securities. You can pay with credit card or PayPal below. The annual contributions from all members of the Haven Women of Philanthropy group are pooled together and used to support programs/projects that otherwise would not be possible. After reviewing proposals, members of the Haven Women of Philanthropy vote on program(s) or projects(s) to be funded. As an active member of the group, your voice is equal to all other members. 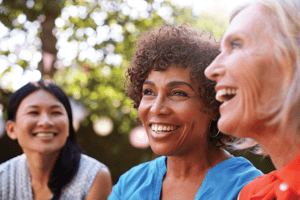 Plan to attend the Haven Women of Philanthropy’s annual meeting at the beginning of each year to vote on project funding. Also important is the annual education program held each fall, as well as several social events held throughout the year. Your attendance is NOT required, but encouraged! If you have questions, would like more information, or would like to join the Haven Women of Philanthropy, please contact Sharon Jones at 813.373.3100 or email sajones@BeYourHaven.org.